… a national emergency with respect to the unusual and extraordinary threat to the national security and foreign policy of the United States presented by the situation in Venezuela. If one of these Democrats makes it to the WH the USA should delete National Education Day (de)signed by Jimmy Carter (no peanuts!) already on 18April 1978 on the birthday of satanic Chabad Lubavitch rebbe Schneerson. It’s a charade … control drama. They have agreements about “good cop/bad cop”. What was SB1 in the Senate supported by Republicans and not by Democrats on the first vote? 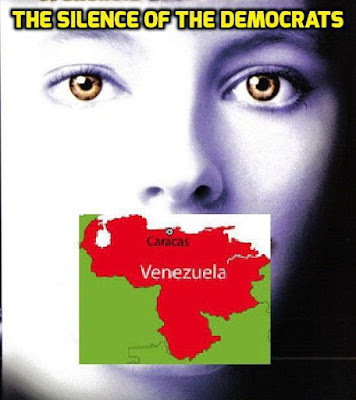 I am greatly disturbed by apparent Democratic Party acquiescence on Trump’s Venezuela policy.